Games Workshop supported Space Hulk, at least a little bit, with the release of their mission files. But are these extras worth it? TGN's Enrico Nardini grabbed the Dark Angels book and is here to give you his thoughts. 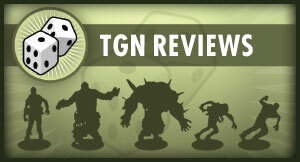 We keep the pressure up with another TGN review. 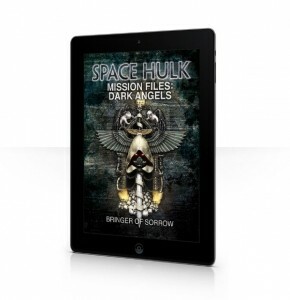 This time it's the Dark Angels: Bringer of Sorrow iBook. Enrico: It’s the product with the name that just rolls off the tongue: Space Hulk Mission Files: Dark Angels Bringer of Sorrow. Is that enough title for you? So for the sake of clarity, this is a set of Space Hulk missions featuring the Dark Angels and their battles aboard the Bringer of Sorrow. Oh, and it’s formatted for iBook. The new edition of Space Hulk was released on the 19th, and as of the penning of this review (the 20th), there are no copies for sale direct from Games Workshop. It seems you can use the same tactic with the same product and achieve the same result. The fact that Space Hulk is nowhere to be seen on the front page of Games Workshop’s website is not a good sign for any future support of the game. There’s not even a listing showing that it’s sold out. If you type “Space Hulk” into the search bar, you will get a listing for each of the mission files, a listing for paints, and the novella, Sin of Damnation. I even attempted a few google searches. One turned up this beauty. All records expunged indeed! Despite these nagging frustrations and the ominous notion of spending $15.99 on an iBook, I tapped the download button and braced myself for disappointment. Codex: Inquisition had soured my opinion of Games Workshop's digital releases (Black Library excluded). Kill Team was a marked improvement. But in the end, Games Workshop’s ridiculous insistence on selling digital content at the same price as print media has, for the most part, kept me away until now. Bringer of Sorrow is a top-notch production. It’s the kind of iBook you would expect from a company with the size and experience of Games Workshop. The book's functionality allows you to view it two ways (though it is always horizontally oriented). You can go page-by-page, or you can page through it by chapter (with separate sections you can tap to select and the individual pages displayed below). The page layout is clean; the font size and design make it easy to read. Another great feature is the number of scrolling sidebar sections. The missions utilize these heavily. I also liked the border and the little artistic elements used to break up the text. It should be noted that there is little actual art, and to my knowledge, it is all recycled from other publications. One other niggling issue involves the maps. You can expand the image by pulling your fingers apart over a section, but they will not stay expanded. When you take your hand off the screen, it returns to its original size. This can be problematic when trying to set up your board. Some sections are difficult to identify, and being able to magnify sections of the map and leave them like that temporarily, would be helpful. Bringer of Sorrow includes a number of chapters you would expect. There is an introduction that provides an overview of the contents and a brief summary of the story so far. There are missions (of course), a reference section, a mission status display, a rules section, more Deathwing fluff, and a chapter on creating your own missions. All the fiction included here is competently written, standard Games Workshop fare. It is of course both grim and dark. The Deathwing engage the space hulk Bringer of Sorrow in the hopes of destroying it before tyranids invade the system. The section titled “The Dark Angels” gives a brief overview of the chapter and the Deathwing. It’s all serviceable, but not particularly interesting if you are already knowledgeable in Warhammer 40,000 lore. The words “Mission Files” in the title may have caused you to conclude that this book is primarily concerned with new missions. That is not wholly accurate. The Deathwing campaign is surprisingly short, with a mere three missions on offer. 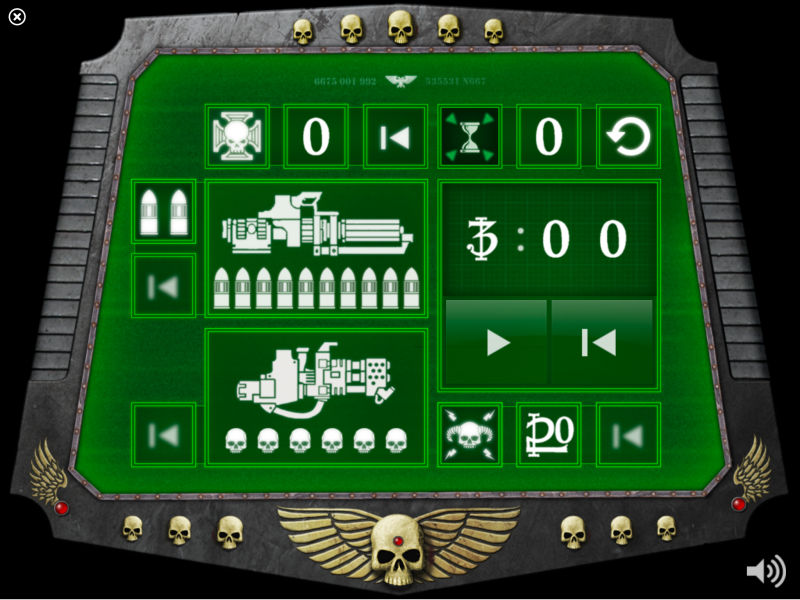 Each mission includes a brief section of fluff describing the story behind it and a scrolling sidebar that includes all the pertinent rules needed to play it. The page that follows this displays the map layout. The missions certainly do the job. But, like the fiction, they’re not particularly exciting. Stop me if you’ve heard this one: Terminators board a derelict, genestealer-infested space hulk, and attempt to detonate it using the ship’s self-destruct. Its ground that has been covered before. Bringer of Sorrow states numerous times that it is for use with the 2014 version of Space Hulk, but it seems completely compatible with the 2009 version. 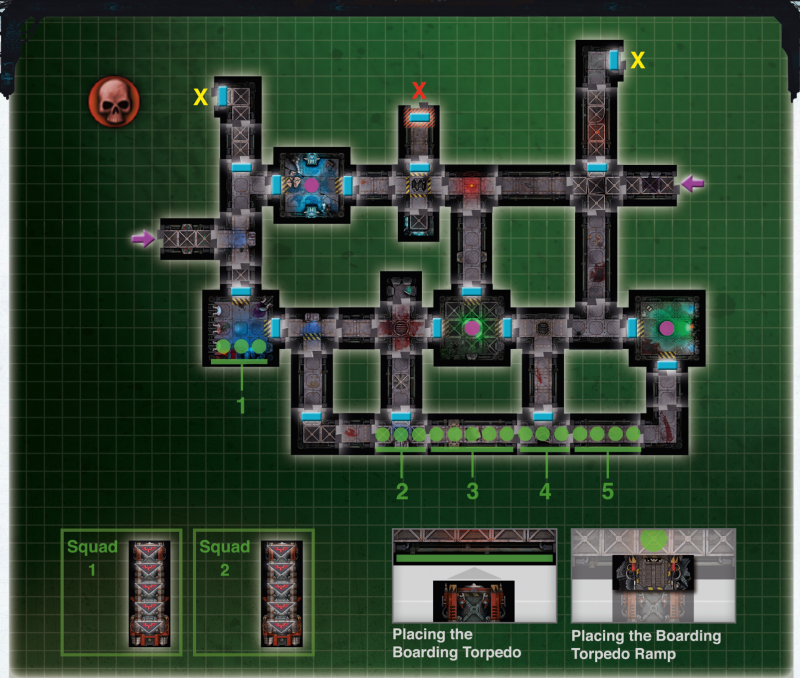 I was able to construct the layout for Mission 2 with no problems whatsoever. From my reading, the only thing that appears to be missing are the boarding torpedoes. It would be easy enough to make your own out of card or simply use your extra lengths of corridor. The Mission Status Display is excellent! 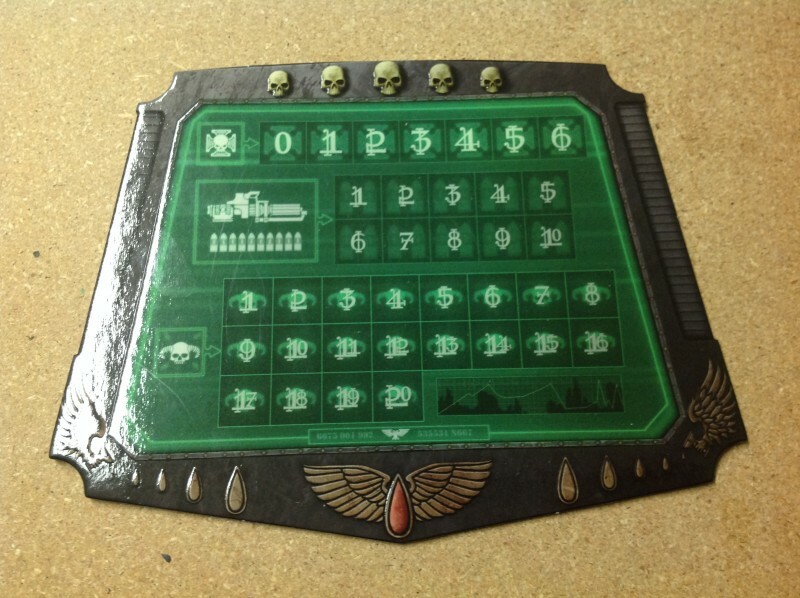 It looks and functions just like the mock digital display included in the Space Hulk game, except it is digital and you can actually use it when playing the game. It works great, and I only have two minor gripes: 1. It doesn’t randomize the number of command points you have each turn. 2. You can’t change the weapon displays to the plasma cannon and cyclone missile launcher. The rules chapter includes all the new rules you’ll need to play with Deathwing Terminators. There are a number of new weapons. Most new rules are well written and easy to understand. I particularly like how the Plasma Cannon is handled. You can fire it as often as you would like in a turn, but each shot adds a counter. Place a counter for each plasma shot fired. At the end of a turn in which you fired the Plasma Cannon more than once, the Genestealer player rolls a die. If their roll is less than the number of counters, the weapon explodes and kills the welder. There are also rules for Deathwing Knights; they are not used in the three pre-designed missions, but they can be used when designing your own. The custom mission section is the largest, and possibly the most useful. It contains tips on designing your own missions, reference charts to help balance the sides, and charts for determining objectives. It’s great to see a point buy mechanic that you can use to balance the forces. This adds a significant amount of possible replay to the product. So, I’m quite surprised to say that I didn’t dislike Bringer of Sorrow. Is it the best thing ever? Nope. But, it’s quite a bit better than I expected. It looks nice and is user friendly. 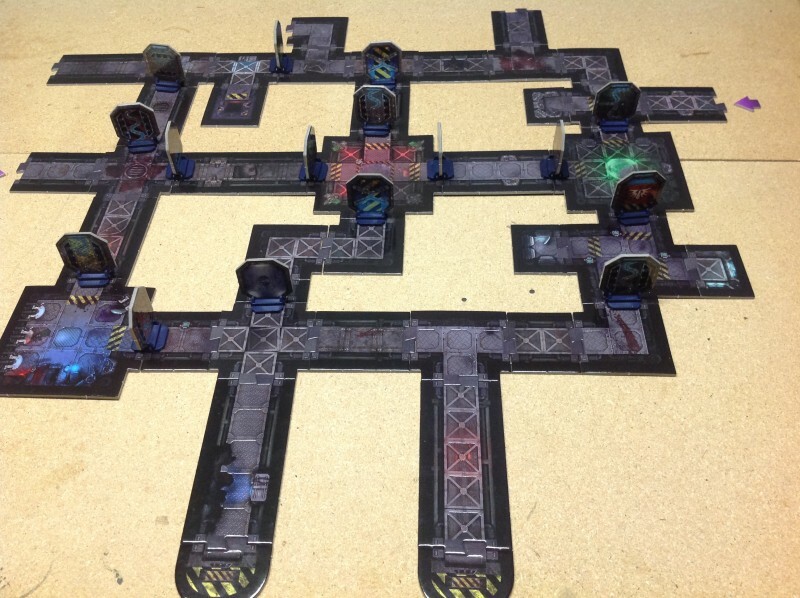 The contents themselves are useful to Space Hulk fans, and with the exception of a few pieces (which can be replicated), can be used with either release of the game. The biggest issue here is price. At $10.00-12.00, I would be confident recommending this. $15.99 feels a bit steep. Not over-the-top like their codex prices, but still a bit much. I can purchase entire miniature rules sets digitally for less. If you’re a rabid fan of Space Hulk and you own an iPad, this may be worth purchasing despite its high price. Those custom mission rules are going to be useful now that GW has moved on.